Is It An Oxymoron to Be a Moderate and a Republican? A few years ago I made the embarrassing mistake of suggesting in a small group of Jewish colleagues that being Jewish and Republican was an oxymoron. One of my colleagues in the room turned out to be a Jewish and Republican and appropriately took me to task privately. I apologized for my arrogance. For many Jewish people like myself who champion human rights, the government providing a social safety net for people in need, the reproductive rights of women, marriage equality of LGBT people, diplomacy over militarism in foreign affairs, identifying with the Democratic Party is a no-brainer. What many of us life-long Democrats too often forget is that once upon a time, there were moderate Republicans who tended to be progressive on social issues and conservative on fiscal and foreign affair issues. Growing up in NYC, I vividly remember two moderate Republicans who could claim significant support from the Empire State’s large Jewish community: Senator Jacob Javits and Governor Nelson Rockefeller. A party that has brought governing to a standstill in Washington in response to the election of our first African-American President. A party of treachery that is hard at work in our state capitals to hinder the voting rights of minorities. A party of intellectual midgets who deny climate change, believe that conservative Christian doctrine deserves equal footing in public education alongside science, reject the idea that carbon emissions are responsible for climate change, etc. etc. A party unable to fathom the fundamental role of communities of people and government in creating civil order and protecting its citizens from the eccentricities and excesses of individualism. A party that seems to be more in tune with less sophisticated conservative rural Christians and cantankerous, cynical old white people than the pluralist society composed of the most amazing cross-section of humanity that America has become in the last century. 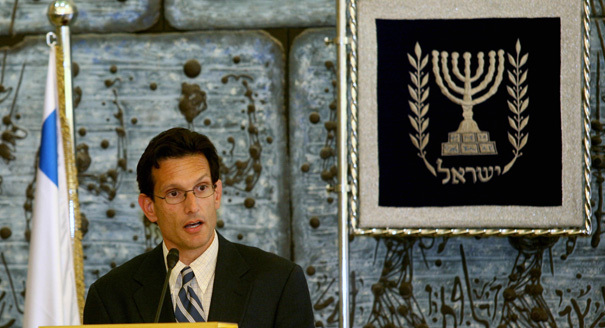 Was Eric Cantor defeated by low voter turnout or because grassroots Republicans have really gone over the edge and only want to vote for other immigrant bashing, conservative white Christians? We are being reminded time and again in recent years that there seems to be no place in today’s Republican Party for moderates of any kind. The Republican Party of 2014 has been overrun by the most cynical, angry, intolerant, frightened, anti-civility, anti-government, pro-money, pro-guns, dogmatic, disenfranchised, churlish people in America today. It’s never been more important for reasonable people of good will to vote. It’s never been more important that Jews, Christians, Muslims and people of all faiths who believe that God is synonymous with love, tolerance, charity, compassion and respect to acknowledge that the Republican Party can no longer be the political party of reasonable people of any kind, even fiscal and foreign policy conservatives. Previous Previous post: Humanity, Civility, Democracy and Reason Demand It! Next Next post: Does Living in Fear of Tornadoes Make Them Hate?